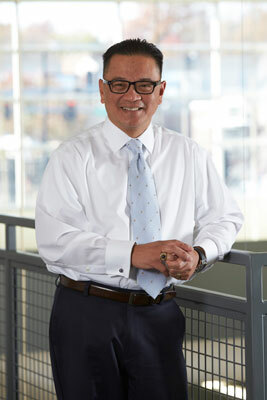 As Executive Vice President DYNALABS New Ventures Initiative, Jun Fabella is charged with identifying and developing high value ventures or commercial opportunities that’s consistent with DYNALABS company’s vision of leading innovation and a future where healthcare partners can rely on DYNALABS for all their comprehensive lab testing needs. Fabella truly understands the unique value proposition DYNALABS provides. As a member of the company’s initial start-up team in 2003, he participated in crafting the company’s mission and vision. He also led the technical design, development, and implementation of the customer website, and developed the initial go-to-market strategy. Fabella was recruited away from DYNALABS shortly after its market launch but rejoined the company in 2014 as its Chief Technology Officer and was promoted to President/COO in 2016. During his tenure as President/COO, Jun was instrumental in growing the company, but importantly transforming DYNALABS into a Professionally Managed Organization. With more than 25 years’ experience in business technology and product development, Fabella has built a reputation for astute business insights and strong leadership skills. He is an innovator with a knack for reinventing business solutions. Fabella has the ability to identify technical and business trends across industries, and then translate these trends into solutions that drive measurable financial results for clients and stakeholders. Fabella honed his leadership skills working for various industry leaders: Monsanto Chemical Company as its International Market Development Manager; Computer Science Corporation, Senior Management Consultant; Ameren Corporation, Business Consultant for Special Projects; RxSpace by Dynasoft, Director of Business Development; Maritz Motivation Solutions, Global Solutions Director; and IDEAH! as Managing Partner. He received his Bachelor of Science in Chemical Engineering at Missouri Science and Technology in Rolla and his Master’s in Business Administration at Webster University in St. Louis, MO.